PMC has earned an impressive reputation in the U.S. civilian market over the last few years due to its dependability round after round. 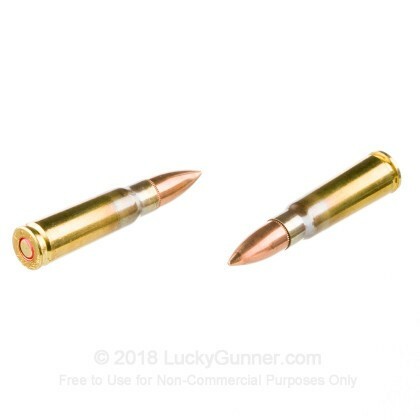 This 7.62x39mm ammunition is perfect for reliable and affordable range training when it's worth the extra money to buy brass-cased ammo for your AK-47. 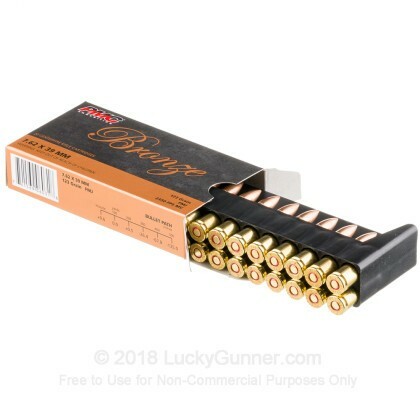 Had used this brand of pistol cartridge before but not rifle ammo. It is an excellent buy. functioned well, no failures to feed or eject. Pretty accurate at fifty and one hundred meters, I would recommend this for general purpose use. Well done, shot decent groups without any malfunctions. Shot great and was really satisfied with the results. Thx. 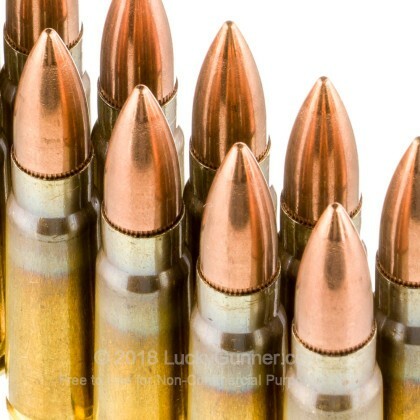 Q: what is the metalic composition of the bullet in this ammo? 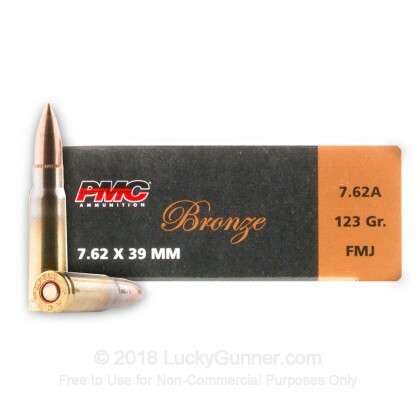 A: This PMC 7.62x39 ammo is composed of a copper full metal jacket with a lead core. 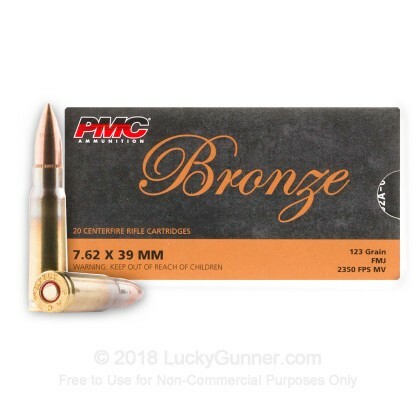 This ammo is a great option for indoor target practice where most steel cased ammo is prohibited due to its bimetal jacket. Additionally, the brass is boxer primed which may be saved for reloading if desired. 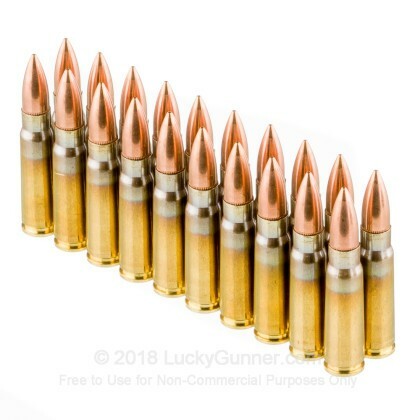 We also have this 7.62x39 - 123 Grain FMJ - PMC - 500 Rounds ammo in stock in a bigger quantity.